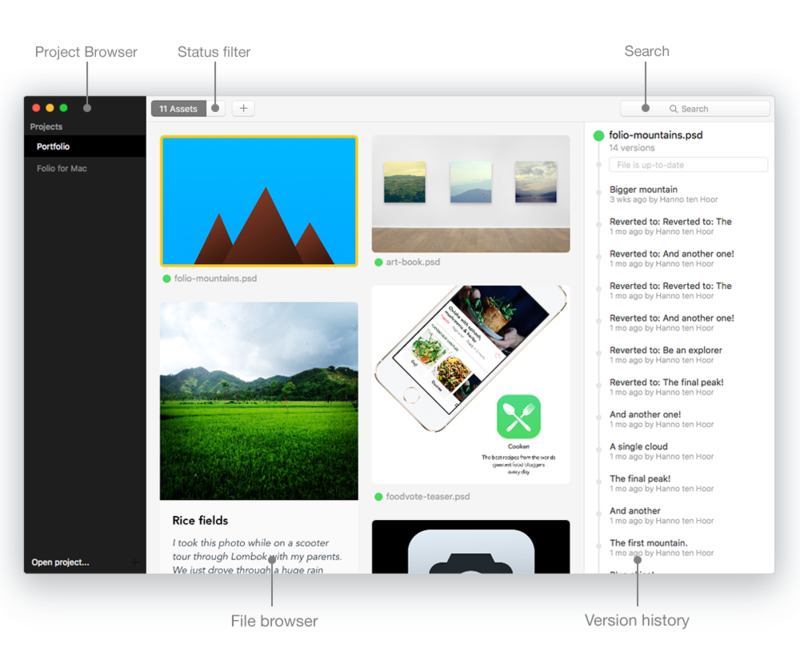 Folio 2.0 is the worlds first version control app built for designers. It let's design teams collaborate on their Photoshop, Illustrator & Sketch. It's built on Git the version control system designed by Linus Torvalds and an essential tool for developers around the world. Folio unleashes the power of Git (which is mostly used from the command line) through a beautifull Mac application that is easy to use for designers and optimized for their workflow. Folio is build & designed in Amsterdam by Emiel van Liere & Hanno ten Hoor.